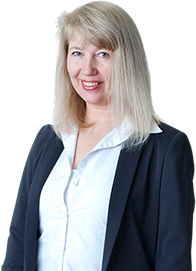 Kaas & Kirkemann Insurance Broker was established in 1996 by Pernille Kaas og Ole Kirkemann. The 1st of January 2012 Ole Kirkemann retired and today Pernille Kaas is the sole owner of the company. Our company is specialized in insurance matters for expats in Spain. We find the best insurance solution for Europeans who live in Spain on a permanently or temporary basis. Kaas & Kirkemann Insurance Broker colaborates with the insurance companies we find most attractive for our client´s requirements and needs. Our team has the required levels of studies within insurance in Spain according to Spanish law. We are constantly being updated on legal matters and practise within the Spanish insurance industry. When our clients have a claim we do our best to give them professional advice. We handle the claim between the insurance companies and our clients. Without any extra costs we also help with language difficulties which can occur in a claim situation with assessors, garages, plumbers etc. According to Spanish law 734/2004 of the 11th of March 2004, Kaas & Kirkemann Insurance Broker has an external client´s department for claims. You can either write your claim to atencionalcliente@aunnaasociacion.es or call 910 327 427. We have been member of the Association of Insurance Intermediaries (Colegio de Mediadores de Seguros) in Málaga since 1999. Every year we support the charity organizations BUSF and DIANOVA. We also support many local associations and charities.